Constructed for strength from solid rubberwood, this functional dining table includes a self-storing butterfly leaf that expands the table from a rectangular 36-inch by 54-inch shape to a 54-inch by 54-inch square shape. For a two-tone appeal, the table offers a gray finish table top that contrasts with a black finish on the table apron and legs. The window pane side chairs continue the set's look with gray finish seats and black finish elsewhere, plus solid rubberwood construction. 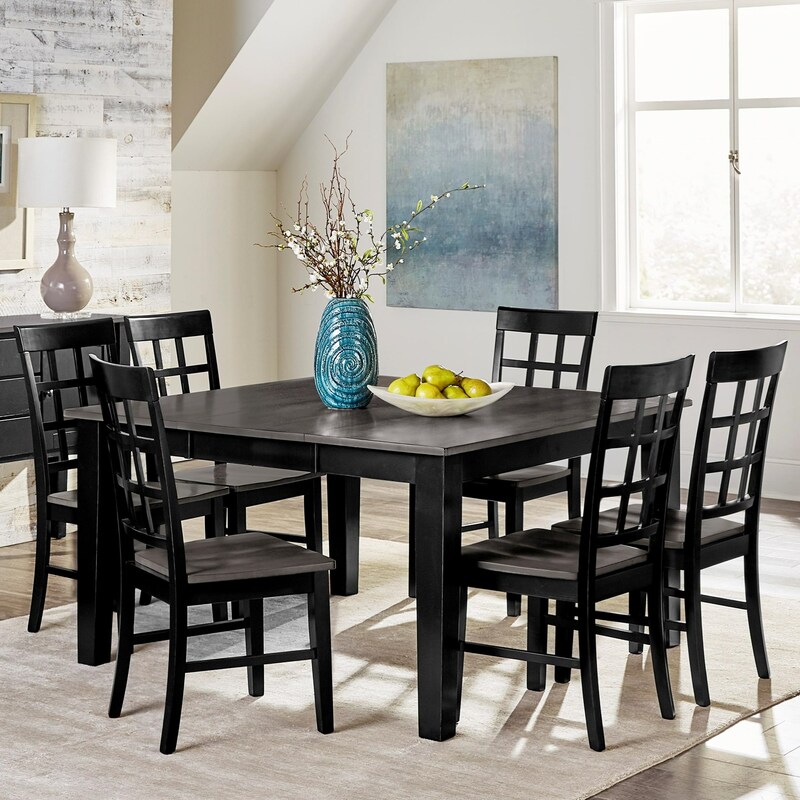 The Salem 7-Piece Solid Wood Dining Table Set with Self-Storing Butterfly Leaf by Progressive Furniture at Northeast Factory Direct in the Cleveland, Eastlake, Westlake, Mentor, Medina, Macedonia, Ohio area. Product availability may vary. Contact us for the most current availability on this product. Case Construction Table and chairs made from Rubberwood solids. The casual style of the dining room furniture collection makes it easy to transform your dining space. Take your pick from the pieces available in a gray/black finish. The Salem collection is a great option if you are looking for Casual furniture in the Cleveland, Eastlake, Westlake, Mentor, Medina, Macedonia, Ohio area. 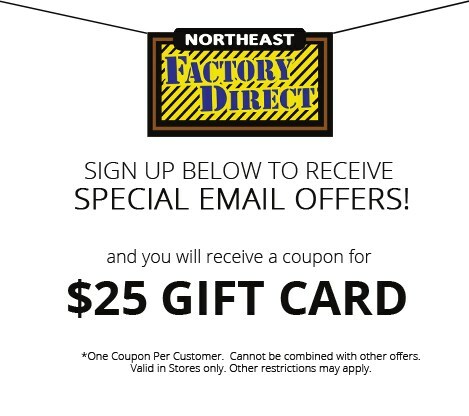 Browse other items in the Salem collection from Northeast Factory Direct in the Cleveland, Eastlake, Westlake, Mentor, Medina, Macedonia, Ohio area.